There are plenty of opportunities to clink glasses this month, whether it’s a hot date for Valentine’s Day, or a family gathering you’re obliged to attend this season. Whatever the reason (or excuse), head to our top picks for places to drink in Hong Kong this month, below. 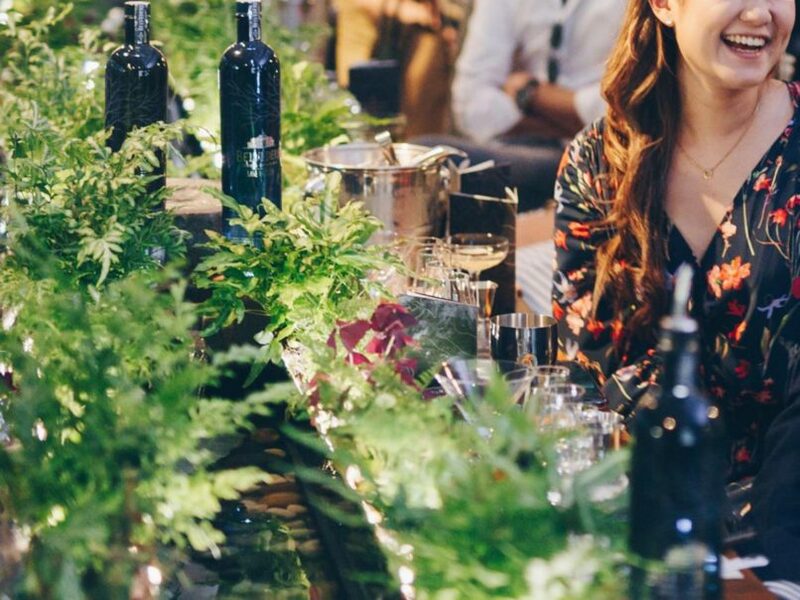 The Woods is throwing back to the glamorous heyday of old Shanghai for this Valentine’s Day cocktail workshop, where you’ll be able to sip along as you make your own stunning concoctions. 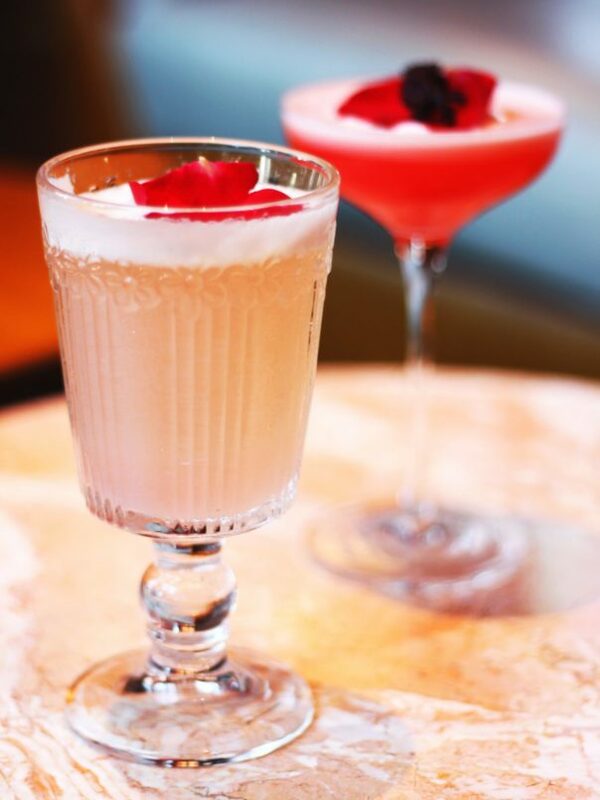 You’ll be going through six different spirits and learn specific cocktail techniques, and even have the chance to go behind the bar to impress your date or ‘galentine.’ Singles welcomed, and each session will host a maximum of eight people. Everyone gets a welcome cocktail and one of The Woods’ signature Tom Yum shots to start. 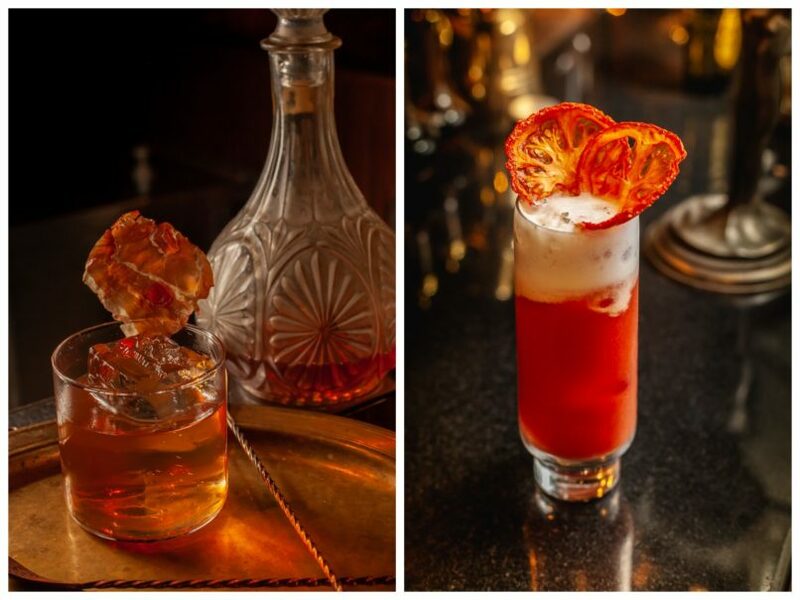 SoHo hidden bar The Wise King is showcasing a brand new #Revived cocktail menu. Continuing to pay homage to the 13th century Iberian king Alfonso X — also known as the Wise — and all the opulence the royal court embodied, The Wise King now serves a menu focusing on Spanish spirits and inspirations. The #BrinedRickey is the perfect place to start: Featuring a moreish, not-too-sweet brined strawberry soda and Pedro Ximenez sherry vinaigrette, both made in-house, paired with gin and basil — it’s a drink we can imagine sipping long into the warmer months. The #RedGoldBloodyCaesar deconstructs the classic brunch tipple with a clam and white wine infused foam, pairing a saffron-infused quinoa vodka with a fresh tomato juice base that comes with a strong Tabasco kick. There are also twists on classic cocktails such as Negronis and Old Fashioneds (one such with a slice of jamon as garnish), which you should definitely order alongside delectable new bar snacks such as roasted quail legs and patatas bravas. Looking to mingle and hopefully meet someone special on Valentine’s Day? 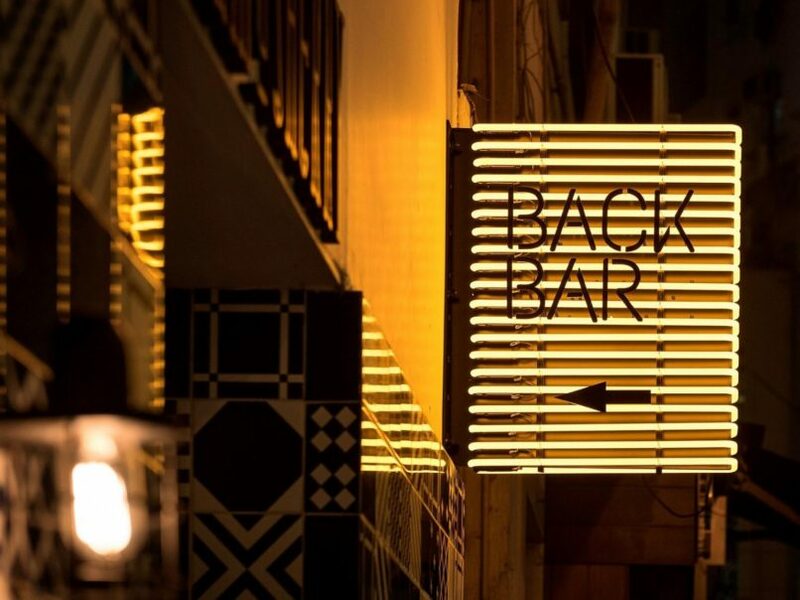 Back Bar is serving up liquid courage at HK$70 a pop for its V-day Singles’ Party, with complimentary snacks flowing through the night. For some secluded sips after hours on Kowloon side, head to Terrible Baby, Eaton HK hotel’s slinky terrace lounge — hopefully with your least terrible bae (we kid; the hotel bar was named with “L’Enfant Terrible” in mind). 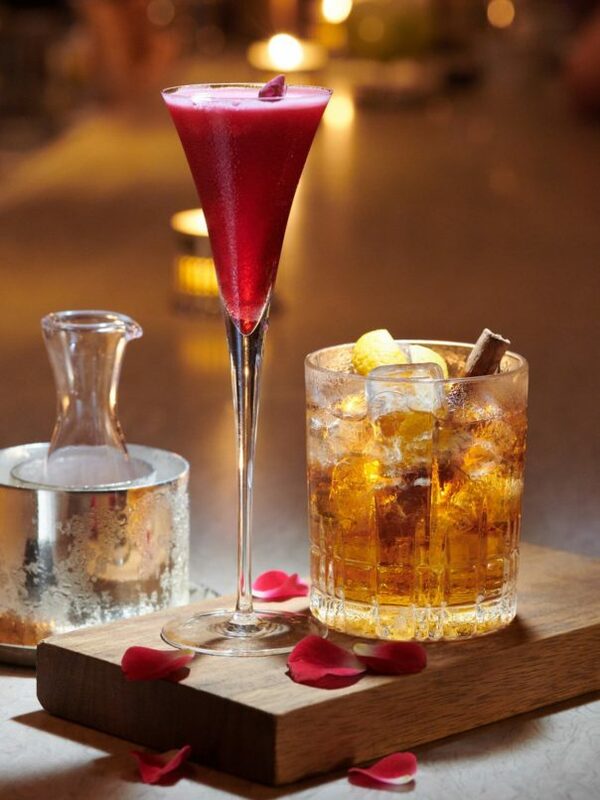 Enjoy their latest Valentine’s Day concoctions (both HK$95): the Bubbles of Love for something sophisticated and effervescent, and the Rosy Blush, for an innocent yet potent rose-tinged cocktail. Eclectic tunes with a penchant for slow, vintage jams and electronic beats pair with a hipster crowd. If you’ve got a Valentine to impress who’s much cooler than you, you’ll want to take them here. 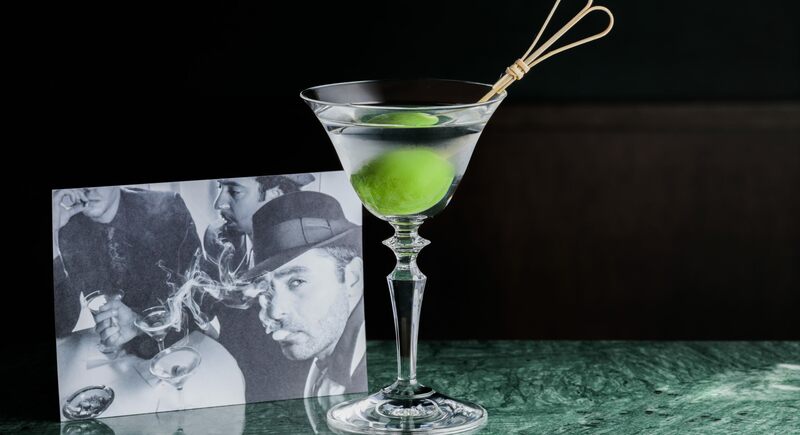 Hong Kong’s one and only speakeasy within a speakeasy, Frank’s Library, has just gotten a refreshed cocktail menu by Ming Fat House group beverage manager Gerry Olino, pairing ever more closely with the restaurant’s contemporary Chinese touch. Inspired by the globetrotting fictional proprietor Frank Minza’s ‘travel diary,’ cocktails illustrate international travels with a decidedly Asian twist: such as the Mexican-influenced Tradicion (HK$150), using Four Fox Saké redistilled with vanilla to create a horchata with rice milk, then adding slow-cooked nori, Nikka from the barrel, citrus and a pinch of salt. The Taken by the Dutch (HK$160) features Batavia-infused pandan, yellow chartreuse, Luxardo maraschino liqueur, sous vide purple yam juice, finished off with some lemon, sugar and angostura bitters. Our mouths are also watering at the Tokyo Drift (HK$140), a riff on the Manhattan with Japanese whisky and umeshu plum whisky. An array of barrel-aged classic cocktails — the Bijou (HK$150) and the Boulevardier (HK$150) are available in single and sharing portions. Find yourself committed to gin more than any human being? 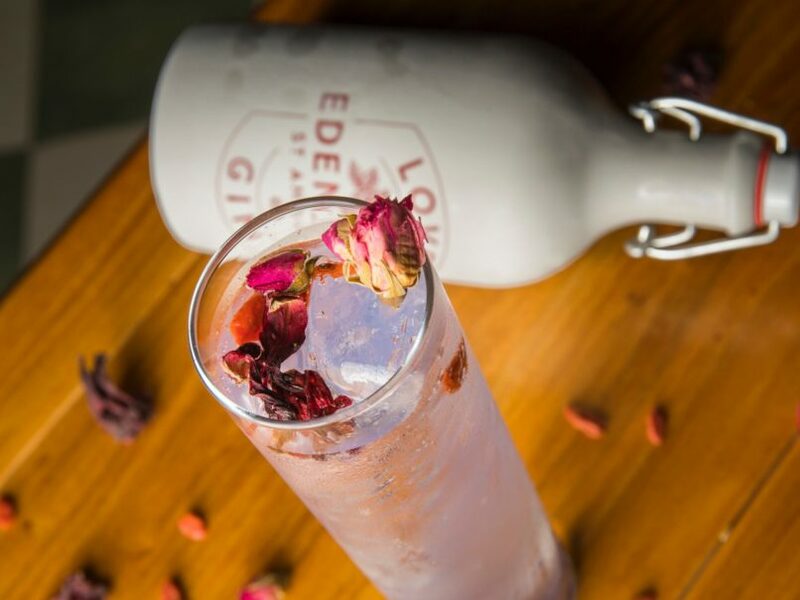 Cure your lovesickness with this ‘love potion’ masterclass at Dr. Fern’s Gin Parlour, where you’ll navigate your passion across four unique gins (including Hong Kong’s own Perfume Trees gin), paired with fresh botanicals plucked from the mini in-house garden. For those looking to take a full bottle home or as a gift, there’s also the Valentine’s Prescription Gin Kit available at HK$800. This kit includes a limited Gibson edition of Copperhead Gin, Fever-Tree tonic, botanicals and tools to make the perfect artisanal G&T. Opened by legendary pizza-maker Franco Pepe, Kytaly has unsurprisingly already retained quite the reputation for its pies. And now, its cocktail programme has also caught up with the scheme of things with the appointment of Italian bar veteran Giancarlo Mancino — yes, of Mancino Vermouth renown. Crafting a list of 10 new cocktails (HK$108 each) to debut at Kytaly, highlights include the Negroncino, a modernised negroni layering 7 ingredients; and the Martiniano, a gin martini with secco, lemon oil and Japanese Wakamomo peaches. Head over to Kytaly from Wednesday to Saturday from 8pm to 11pm to catch DJ vocalist and sax duo VoSSA performing live tunes. 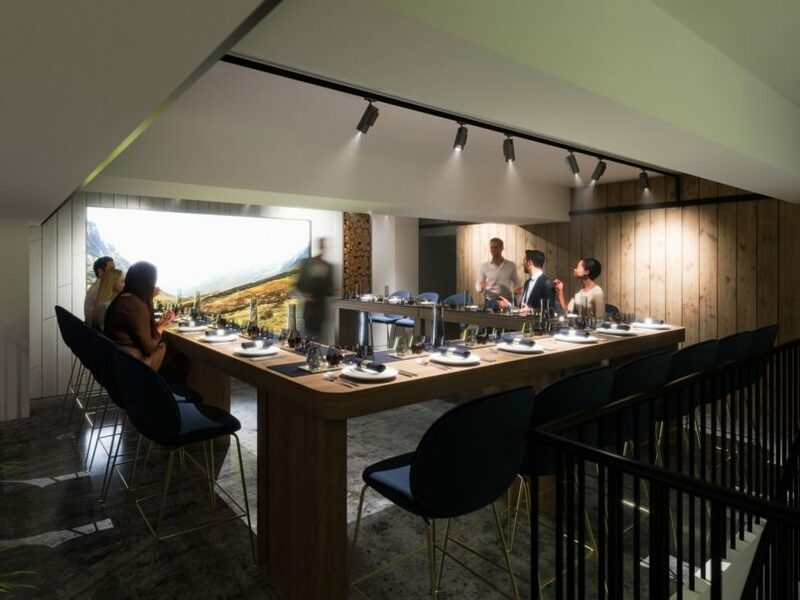 Fans of rare whiskies will have a new watering hole this month: a limited-time pop-up that showcases Johnnie Walker’s most exclusive expressions. A bothy is a Scottish mountain refuge, and with this in mind, guests are transported to the idyllic highland sanctuary for a taste of rare drams such as a 1975 Cambus single cask, as well as other whiskies characteristic of each unique corner of Scotland. Extended food-pairing tastings created by Michelin-starred chefs Nicholas Chew and Noël Berard of Bibo and Écriture respectively also round out an exclusive experience: The bothy will be open for lunch and dinner for the pop-up duration, and is by invitation except for public reservations available for lunch and dinner on 23 and 24 February. The session is priced at HK$1,820 per person, including a 75cl bottle of engraved Johnnie Walker Blue Label. Few hotspots in the city offer the same sultry atmosphere and unbeatable views as Café Gray Bar. Thinking to romance your date there on Valentine’s Day? The new You & Me cocktails are two contrasting concoctions that lend for easy shared sipping: one, a floral, gin-based cocktail infused with rose, hibiscus and oolong tea. The other, a strong and smooth blend of VSOP, bourbon, bitters, and a hint of smoke. A marathon of CNY gatherings got you craving a recharge? 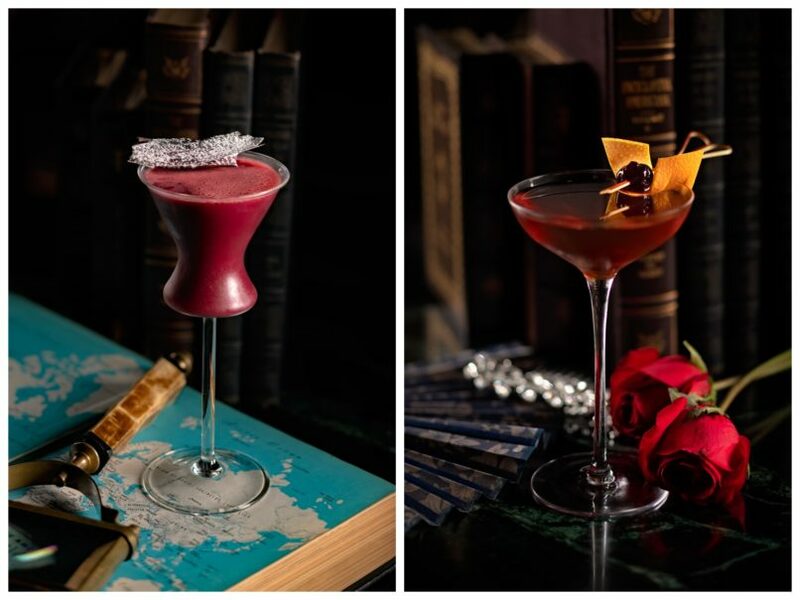 Woobar’s presenting three new festive cocktails (HK$150) for the auspicious season, available through to 28 February. 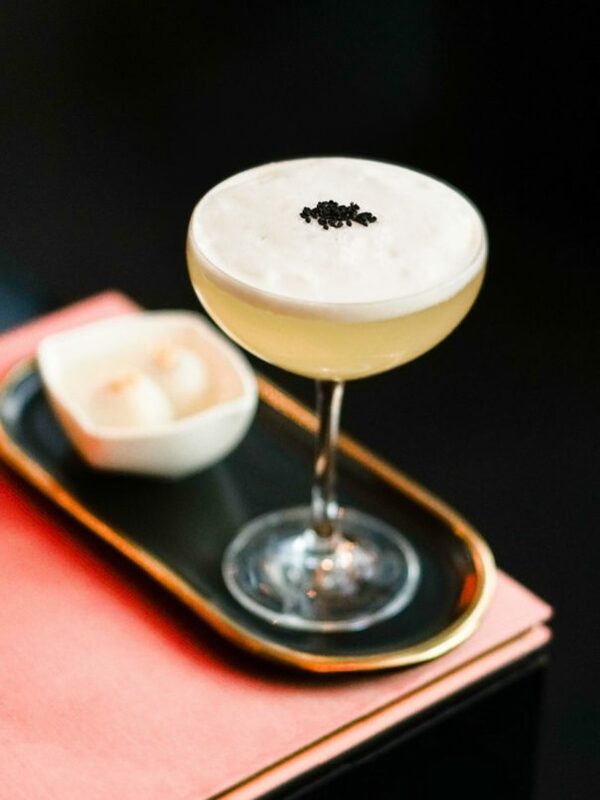 The Spin with Gin blends hazelnut, peanut butter, lemon juice and coconut water in a boozy concoction reminiscent of sweet tangyuan dessert — topped off with roasted black sesame as garnish. For something with a nice kick, the Heat Up CNY is a warm cocktail pairing whisky with earl grey tea, topped off with ginger orange marmalade and lemon juice. The refreshing Hey Gorgeous — featuring Grand Marnier, kumquat, orange juice, lemon and honey, will give you that citrus boost to lift the spirits. 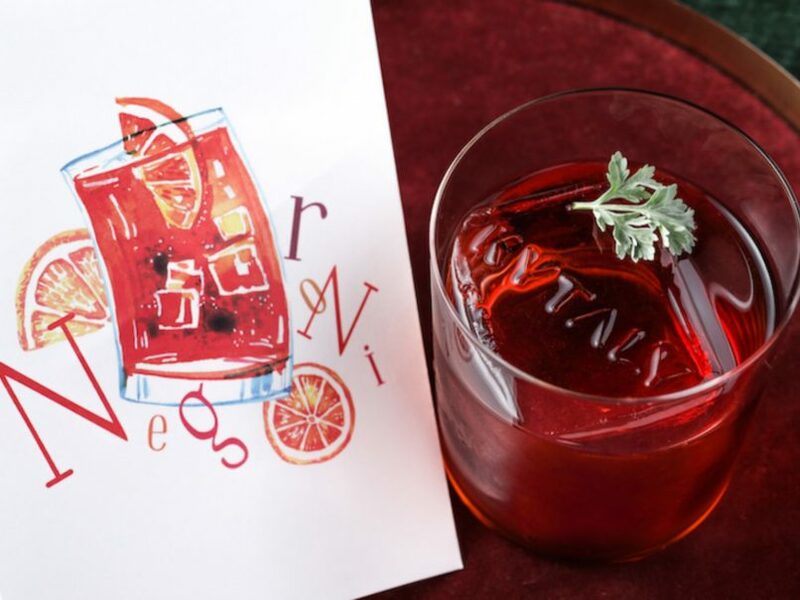 When not trying out the latest beauty and wellness trends, Evelyn is likely enjoying a perfectly balanced negroni or exploring some of Hong Kong's best new places to eat and drink. At Lifestyle Asia she covers everything from the biggest events in town to interviews with Hong Kong specialists, with topics spanning art, food and drink, health, tech, and travel.